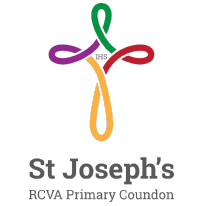 St Joseph’s RCVA Primary prides itself in being very inclusive and will endeavour to support every child regardless of their level of need. All pupils follow the National Curriculum at a level and a pace that is appropriate to their abilities. At times and when it is felt appropriate, modifications to the curriculum may be implemented. We ensure we know we are effective in SEND provision by monitoring of teaching and learning, curriculum, impact of interventions and drop in sessions where both teachers and teaching assistants are teaching. School will use assessment as a continuous process. Progress will be monitored by class teachers through observation and assessment. Attainment will be shared with the head teacher and SENCO who will track progress of children with SEN. As a shared responsibility, all practitioners of pupils with additional needs will refer, plan and deliver appropriately according to the needs of the pupils in their care. The importance of early identification, assessment and provision is recognised by the school. If a special educational need is identified, this will be discussed with parents and regular progress meetings can be arranged. Annual reports and reviews are produced by the school and open evenings are arranged twice a year. Class teachers, SENCO, parents and children will work together to produce a support plan with relevant and measurable SMART targets. These will be reviewed and new targets set three times a year. A support plan meeting will be offered where staff, parents and child will have to opportunity to discuss targets. At St Joseph’s RCVA Primary , we have experience of supporting children and young people with a wide range of need including Cognition and Learning, ASD, Dyslexia, Speech and Language needs etc. St Joseph’s RCVA Primary will use assessment as a continuous process. Progress will be monitored by class teachers through observation and assessment. Attainment will be shared with the head teacher and SENCO who will track progress of children with SEN.
As a shared responsibility, all practitioners of pupils with additional needs will refer, plan and deliver appropriately according to the needs of the pupils in their care. The importance of early identification, assessment and provision is recognised by the school. If a special educational need is identified, this will be discussed with parents and regular progress meetings can be arranged. Annual reports and reviews are produced by the school and open evenings are arranged twice a year with class teachers. Children with a Support Plan, will have a record in school of their outcomes and support and this can be discussed three times a year with the SENCO. At St Joseph’s RCVA Primary , we believe that inclusive education means providing all pupils with appropriate education and support alongside their peers. The Curriculum is all the planned activities that the school organises in order to promote learning, personal growth and development. It includes not only the formal requirements of the National Curriculum, but also the range of additional opportunities that the school organises in order to enrich the experiences of our children. Our curriculum also includes the social aspects that are essential for life-long learning including after school clubs, educational visits and sporting events. At St Joseph’s RCVA Primary, we follow a graduated support approach which is called “Assess, Plan, Do, Review”. As part of this approach, we will produce either a short note or a SEN Support Plan that describes the provision that we will make to meet a child’s special educational needs and agreed outcomes. Parents and carers will be fully involved in this process. Children may remain on a short note for 2 terms before we either move onto a support plan or they no longer need the additional support these provide. Early intervention is the aim at St Joseph’s. When a class teacher identifies a child with SEN they inform the SENCO, Mrs Kiri Stevenson. At this point either a short note or a support plan will be produced including outcomes for the child. As a team, school staff ensure that interventions are put into place for that child and that the teacher plans carefully ensuring they are addressing any additional needs. If there are still concerns after monitoring over a period of time, then a decision will be made whether the school can implement other strategies to meet the needs of this child or if they need to seek advice and support from other professionals. Children usually progress onto this level when despite the additional support being offered they are struggling to make the necessary progress in their area of difficulty. At this point the school will seek advice from other professionals and implement recommended strategies and advice. If a child’s needs dictate that a higher level of support than what can be provided through school support or additional support, then a request for assessment may be made. The SENCO completes the relevant paper work and submits a school report along with reports from other relevant professionals to Durham LEA. The paperwork is looked at and the panel decide whether to proceed to statutory assessment. At this point a range of professionals will decide if an Education, Health and Care Plan should be issued to support the child’s needs.